Searching For A Removal Company In Milnrow is straightforward when you come across Littleborough Removals; your friendly, family owned local removal company. With vast experience, they offer a regional and nationwide service that stands up to the demands their customers want and expect when they are embarking on moving home or premises. Based in Littleborough, when you need a Milnrow removal company, Littleborough Removals will be top of the list for all your requirements. With over 15 years’ experience, they offer a fast, efficient ‘quality based’ removal service that takes out the stresses and strains associated with moving home or your business. Take advantage of customer care you won’t find anywhere else; from dedicated professionals ready to make your move a pleasant experience. For a removal company in Milnrow, Littleborough Removals offer a comprehensive residential removal service that involves packing and loading to transportation and storage of all your precious household goods. With affordable fixed rates, no waiting charges and a full insurance policy, you’ll gain peace of mind you have chosen the right removal firm for your needs. Don’t hesitate. 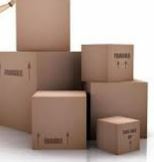 Pick up the phone and speak to one of the team at Littleborough Removals for the very best quality removal service. This entry was posted in Removal Company and tagged Milnrow Removal Company, Removal Company In Milnrow. Bookmark the permalink.